Do you remember these guys? The Norwegian National Curling Team led by skip Thomas Jansrud that won the silver medal in Vancouver 2010 Winter Olympics, only defeated by Canada. Most people probably have forgotten how the team performed on the ice. But one thing is for sure: Their clown pants will never be forgotten! During the Vancouver 2010 Winter Olympics, about half a million people followed them on Facebook and they became a great hit worldwide. Maybe one of the reasons is that curling is not regarded as real sports, but more like a hobby where everyone can participate. The pants manufacturer LoudMouth Golf (the brand made famous by professional golfer John Daly), became the team’s sponsor after the Olympics. Recently, the Norwegian National Curling Team won the gold medal at European Curling Championships in Moscow, still wearing the colorful pants. Flashback: News article from the Vancouver 2010 Winter Olympics. (Reuters) – The Norwegian Olympic men’s curling team are highly unlikely to be accused of being all mouth and no trousers. They have become the talk of competitors and fans alike at the Vancouver Games with their red, white and blue harlequin-pattern pants. The team squared off against top-ranked Canada on the first day of competition on Tuesday, losing a tight game 7-6 in extra ends but it was the loud legwear which had the Vancouver Olympic Center buzzing. 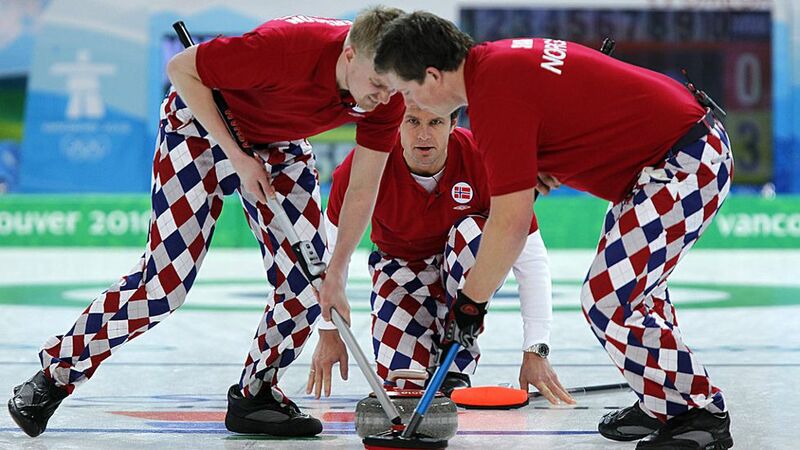 Swedish captain Niklas Edin beat Britain in his first match, but joked that he was still distracted by the trousers worn by the Norwegians on the adjacent sheet of ice. Norway skipper Thomas Ulsrud said he did not expect the fuss his slacks are causing, although the curling world is sometimes seen as a staid one. His team mate Christoffer Svae was the driving force behind the fashion statement. “He’s like, ‘Hey guys — we’ve got to play in them. They’re cool. Come on, you’ll get used to them, you know? '” Ulsrud said. The reaction back home in Norway? “The tendency is, the chicks dig them and the guys … they’re not too sure about it,” he said. Canadian captain Kevin Martin said the brightly colored diamond patterns did not throw him off his game. “They were wearing them in practice, so we’ve seen them a couple of times. 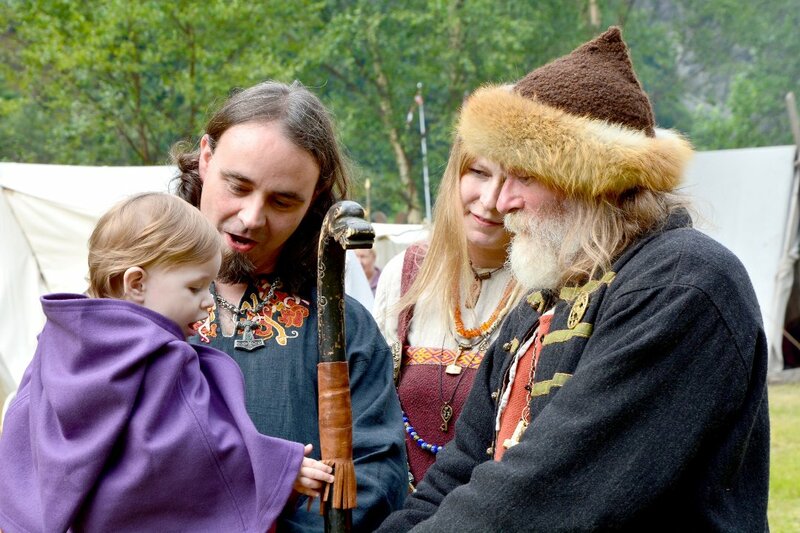 But it’s unique,” Martin said.